How you load and secure your cargo is dependent on the type of cargo you’re transporting. In this post we will discuss the different options available to you and how they can benefit your business. If you are not backed up to a loading dock and need to access the bed of the box from the ground, there are a few options available to you. 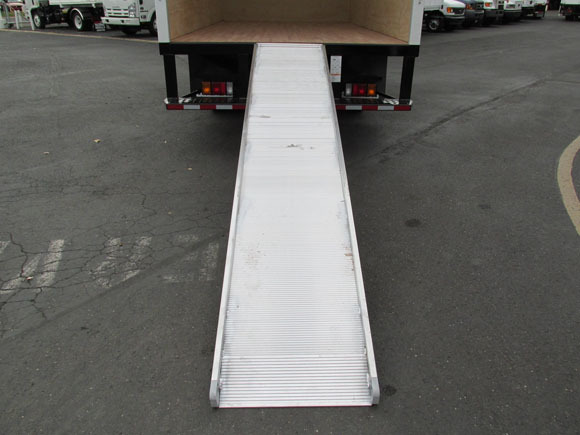 The most common methods, other than manually loading cargo or using a forklift, are to use a ramp or a lift gate. Ramps come in several different widths and can be made of steel or aluminum. For safety a ramp has a treaded surface to guard against slipping and can be perforated to allow water and other liquids to run off. 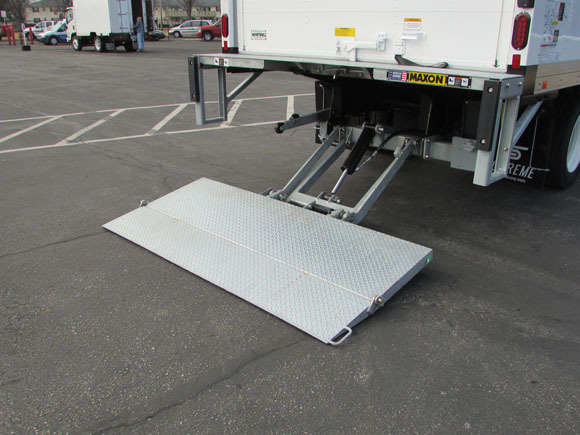 Another option for loading cargo into the box is a lift gate. While there are multiple variations, sizes and weight capacities the category of these two lift gates are standard. The tuckaway and rail gate are versatile loading tools to help ease the burden of loading and unloading a variety of cargo into and out of your box. The decision to go with one style over another is dependent on the type of cargo you are hauling and the frequency with which you are accessing the cargo area. Traditionally rail gates offer a larger platform and greater lifting capacity since they do not have to be “tucked” under the rear of the box. The biggest drawback of the rail gate is the inability to access the cargo area without first lowering the gate. Tuckaway gates offer easier access to the cargo area. Although traditionally their platforms and lifting capacity are less than a rail gate, higher strength steel and better grades of aluminum have given way to increased size and lifting capacity. The two most common pieces of hardware used for securing cargo is E-track and D-rings. E-track can be spaced at various intervals along the walls of the box, vertically and horizontally, giving you multiple anchor points to secure your cargo. Straps that are specifically designed to work with the E-track can be purchased through truck suppliers or online. Ratcheting load bars are another option, especially with more uniform cargo. If you prefer to have the flexibility of moving your anchor points there are load bars that do not have to be anchored in to the E-track and can be placed up against any flat surface in the box. However, if you have chosen a slat side instead of plywood or fiberglass reinforced plastic (FRP), the slats can act as an anchor point for a variety of hardware such as straps, bungee cords, rope, and chain. E-track can be installed into a box that has slats as well.